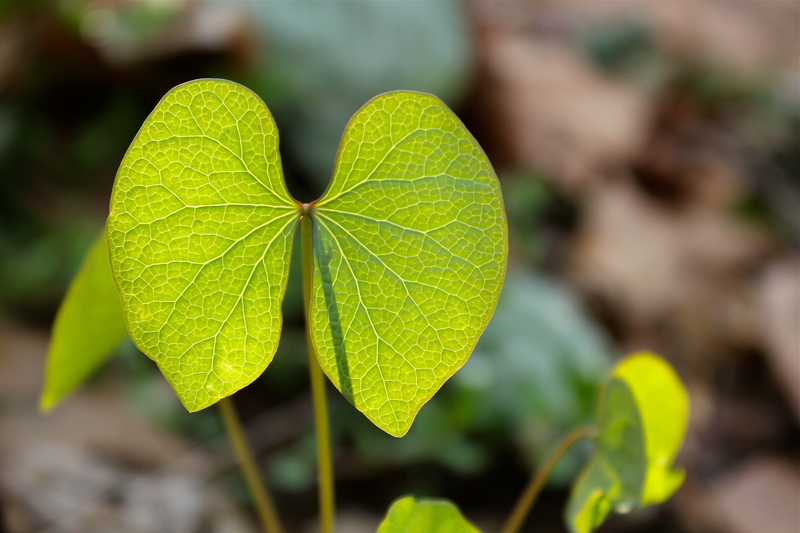 Twin leaf emerges in mid-March or early April, and blooms soon after the first leaves appear. It is found in damp, loamy soils in open woods in the eastern U.S., primarily in regions north of Virginia. The genus was named in honor of Thomas Jefferson, who apparently grew it in his home garden at Monticello. The striking twin leaves are the most remarkable feature of this plant. They are gorgeous early in the season. The white flower is pretty too, but very short-lived. It will give way to a large and distinctive seed capsule by early summer (see photo, right). 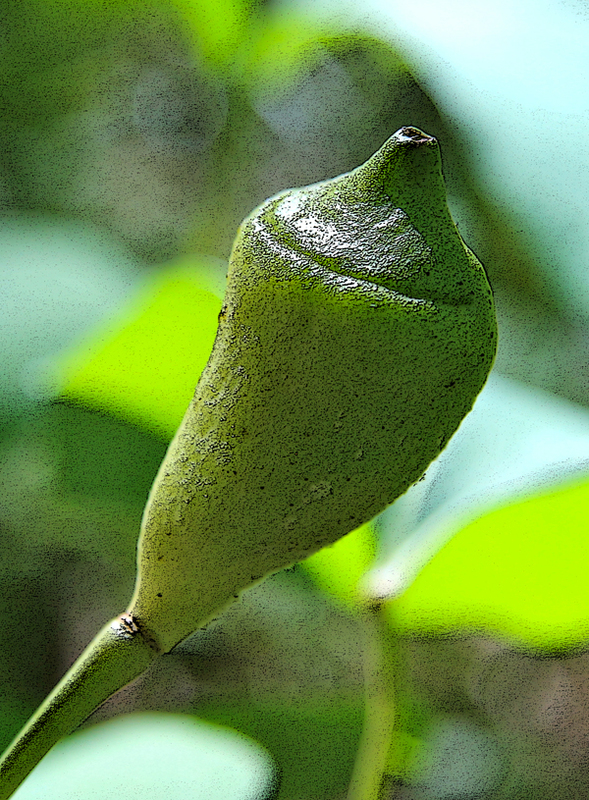 The morphology of the leaves and seed capsule makes this one of my favorite wildflowers. I’ve been able to grow it at home after finding twinleaf “root stock” online. Much to my disappointment though, the self-seeding process has been very slow. I’m still hoping for a thick colony to develop sometime in the future. A young twin leaf plant captured in late afternoon light.